Boasting a strength about 5 times greater than that of normal glass, tempered safety glass is both harder and more brittle. 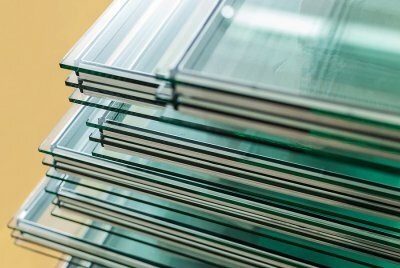 Tempered glass is made using a process of rapid cooling and extreme heating that gives it these qualities. When tempered glass does break, it happens in a way that produces what look like small, glass pebbles, rather than sharp shards. Frequently used for windshields and skylights, laminated glass can be created using tempered glass, but it boasts additional benefits. Laminated safety glass it made using 2 sheets of glass that are held together with a sheet of plastic. Laminated glass differs from tempered because when the pieces of glass are broken, the shards stay stuck to the plastic sheet that is sandwiched between them. A popular choice for homes and buildings that are located in areas frequented by tornadoes and hurricanes, impact resistant windows are designed to prevent flying debris from shattering and flying through windows. Often, impact resistant glass is made from a type of laminated glass and held by a durable frame. When a bullet is fired at a normal piece of glass, this causes the glass to shatter because it is unable to bend and gradually absorb the energy. For this reason, the bullet can continue moving forward with very little loss of momentum after it shatters the glass. This means that normal glass is completely ineffective at blocking bullets. Bullet resistant glass, however, has layers of strong, polycarbonate material that cause the energy from a bullet to spread out. This slows the bullet enough that it either fails to penetrate the glass or does so without causing much damage to anything on the other side. It’s not uncommon for homeowners to feel that they could get more enjoyment from their interiors if they had a bit more room. If your home lacks an open, spacious appearance, then consider making it seem bigger with the help of glass mirrors in Houston . The kitchen is an area of the home that can often benefit from having more space. If your kitchen layout is small or galley-style, then you can benefit from adding mirrors to the room. Although this strategy will not actually increase the size of your kitchen, outfitting one of your kitchen’s walls with glass mirrors can make the space look double its size and feel more open. Does your sitting room feel a little too cozy? If so, then consider adding an oversized mirror to the space. 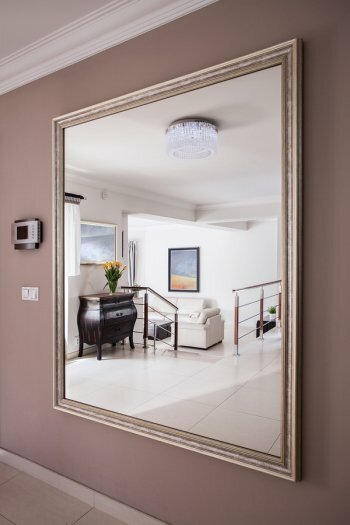 Propping a huge, free-standing mirror against one of the room’s walls is an excellent way to add a dramatic, decorative element to the room’s design while also making it appear larger. If your living room features a fireplace, then you probably realize how this type of feature can make or break a design scheme. If your fireplace lacks visual appeal or if it’s overpowering the space, then installing mirror tiles in the alcoves is an excellent way to make the room feel brighter and more open. Hanging a large mirror over the mantle is also a great way to achieve this effect. If you’re like many people, then you wish that you had a bigger closet. While they won’t provide you with more space for your shoes, linens, or clothing, glass mirrors offer you a great way to enhance the look of your closet space. If you have closets with doors that take up a significant amount of the wall area in your bedroom, then consider installing glass mirrors to their exteriors. This option can make a bedroom appear bright and more open while providing you with an appealing way to enhance the look of your closet doors. There are many ways to incorporate different glass table tops into your home’s décor. Many people may choose a solid piece of glass for their dining room table or as part of their coffee table design. These are beautiful ways to use glass table tops in Houston , but there are some other interesting ways that a glass table top can complete your home’s décor. Continue reading to learn about a few new ways to use glass table tops around the house. Upon entry, you and your guests can become mesmerized by a glass table top nestled near the entryway. By having a glass table top, you will be able to trick the mind into believing the entryway space is larger than it truly is. A clear glass table top will also allow the light to flow better throughout the small entryway area. In addition to both of these benefits, a glass table top shows a level of sophistication and modernism that you and your guests will appreciate every time you set foot through the door. 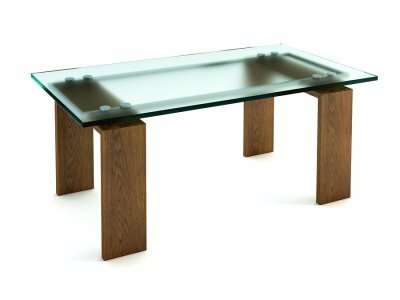 For a truly modern look, consider installing a cantilevered glass table top as your dining room table or as your desk. A cantilevered table top is suspended from the ceiling, meaning it does not require legs to stay in place. 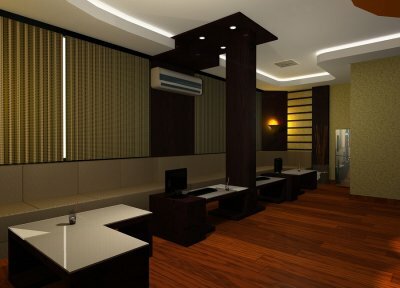 This type of construction will open the look of your dining room or office and create an interesting talking piece for when guests come over. There are many other ways to make your glass table tops a part of your interior décor, such as purchasing texturized glass. There are many different constructions of glass table tops that can add to the personality of your home. Textures, like a “barked” edge or frosted glass, help bring movement to your home’s décor. There are many different textures and methods of construction that can change how your glass table tops look, so consult your glass and mirror company about the right table top for your home. The windows and doors in your home allow you to see outside, and let in fresh air and sun when the weather is pleasant out. If you have noticed that your windows are drafty, cracked, or otherwise damaged, it may be time for residential glass replacement in Houston . Cracked windows do not function the way they should, and can make your home less comfortable. Valuable heating and cooling can escape through broken windows, driving up your monthly energy bills. When you choose insulated glass for your residential glass replacement windows, you’ll be making a smart choice. Read on to find out why you should choose insulated glass. If you’re like most homeowners, chances are you’re looking for ways to reduce your overall expenses. This includes your utility bills, particularly in the summer and winter when your HVAC system is working its hardest. Insulated glass provides an extra layer of protection, keeping cool air inside in the summer and warm air inside in the winter. With the help of insulated glass, you may be able to reduce your home’s energy bills. This can also help extend the life of your heating and cooling system, as it won’t have to work as hard to keep you comfortable throughout seasons of peak usage. Whether you live on a busy street or in a residential neighborhood, you value your privacy. When noise from the outdoors infiltrates your house, it can make you feel on-edge and less settled in your house. Your sleep could also be affected, which may make you feel tired and irritable during your days. In addition to providing temperature insulation, insulated glass for your doors and windows will help reduce the amount of noise that gets into your home. Sound won’t be able to pass through multiple panes of residential glass as easily, which means that you’ll have the peace and quiet in your home that you want and deserve. Glass mirrors are most often found in bathrooms, where people can double check their personal appearance. 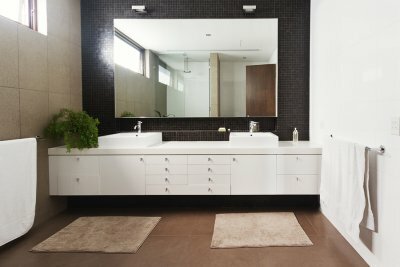 These mirrors see a lot of use and damage from heat and moisture, so you may need to purchase a new one to keep your bathroom sleek and modern. If you have been looking for the right reason to find a mirror replacement in Houston, continue reading for some good reasons to consider an upgrade. Many homeowners think if you have seen one glass mirror, then you have seen them all. This is far from the truth! It is easy to have an outdated mirror or one that clashes with your bathroom’s décor. If your bathroom has a modern style, but your mirror has an old, Victorian-themed frame, then it is outdated. Many of these framed mirrors can be altered to show a more updated style—such as repainting the frame or changing out the frame—or you can choose a mirror replacement. The clearest sign that you need a mirror replacement is when your mirror is broken. You do not need to worry about 7 years of bad luck—just worry about finding a replacement soon. Broken glass mirrors are just like regular glass. They can be dangerous if not replaced. Sharp pieces of the mirror can fall, resulting in cuts and injuries. Broken mirrors can also damage furnishings nearby, possibly falling or scratching your bathroom countertop. If you have a broken bathroom mirror, call your glass and mirror company right away for a replacement. If you are already changing up your bathroom’s design or décor, then why not replace your mirror? In the case of a bathroom remodel, then you may consider moving the mirror and buying a new one to better reflect light from a window. Even if you are simply updating fixtures and painting, chances are that your old mirror will not look satisfying next to the brand-new interior design. Purchase your new mirror replacement along with the new fixtures and colors so you can be sure you like the completed theme. Whether you are installing a new glass mirror or a mirror replacement in Houston, there are a few factors you want to keep in mind as you choose the size. Choosing a glass mirror for your vanity requires some measurements and preplanning . Watch the video for some tips when choosing your bathroom mirror in Houston. Measure your vanity; your mirror should be at least one inch smaller than the vanity on each side. If you plan to install lights around the mirror, then it should be smaller to accommodate the width of the lights. Determining the height will be based on a backsplash or outlet installation. For example, the glass mirror may need to be shorter in height to accommodate a tall backsplash over the vanity. Looking to modernize your home’s décor by hanging glass mirrors in Houston ? A beveled wall mirror or large glass mirror can add a stunning centerpiece to any room in your home. However, heavy glass mirrors can be a challenge to hang properly. Watch this video for some tips on hanging heavy glass mirrors. First, you should find out what your wall is made of. If you live in an older home, your walls are likely made of plaster. It’s important not to use a drywall hanger in plaster, as you could damage the wall. Instead, use a toggle bolt with a picture hanging hook. If you have a newer home that uses drywall, you have more options for hanging your glass mirrors. Whichever type of hook you choose, consider using two for your mirror installation. This will help the glass mirror stay level and gives you more room for adjustment. If you live in an area that is susceptible to hurricanes, you should consider replacement residential glass windows made of hurricane-resistant glass near Houston . Windows made of hurricane-resistant glass can protect you physically and financially in the event of a hurricane. Here is a look at some of the long-term benefits of installing hurricane-resistant glass windows. One of the primary benefits of hurricane residential glass is that it prevents damage to your windows and home if a hurricane hits. Hurricane glass is constructed to withstand the most severe storms, and your windows won’t break even when subjected to extreme pressure, wind forces, and flying debris. Average windows won’t be protected if they are just boarded up, as the forceful winds of a hurricane will simply rip the boards off. When you install hurricane-resistant glass windows, you eliminate your risk of paying for costly window repairs or window replacement after a severe storm or hurricane. Hurricane glass windows are double-paned windows, which means that they offer maximum UV protection. The glass blocks 99% of the sun’s harmful UV rays and thus prevents heat from outdoors from entering your home. This allows your cooling system to operate more quickly and efficiently. 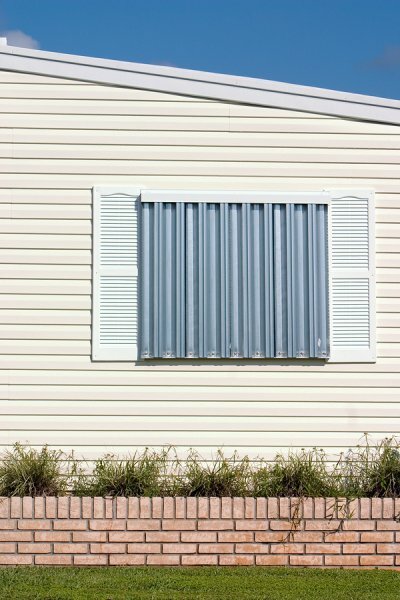 Hurricane-resistant windows also insulate your home from the cold outdoor air in the winter. Unlike regular windows, hurricane glass keeps your indoor air from escaping as well, so it’s easier to maintain a comfortable temperature in your home throughout the year. All in all, this investment will make your heating and cooling systems more energy efficient, and will reduce your energy bills. Another benefit of hurricane-resistant windows is that they offer very powerful noise reduction. Double-paned windows can block out outdoor noise from traffic, construction, dogs, and neighbors. Your home will be a much more peaceful environment. Likewise, your neighbors won’t be disturbed by most noises, like music, coming from your home.